These have been floating around on the interworld for a while now, and I keep forgetting to post about them... but they are going to be available February 8, 2010 and well, they are fantastic. In the middle of writing this post, working, and blog checking I realized that dani (just) made a post about these awesome covers as well... and if you would like to see the covers individually go check out her blog. 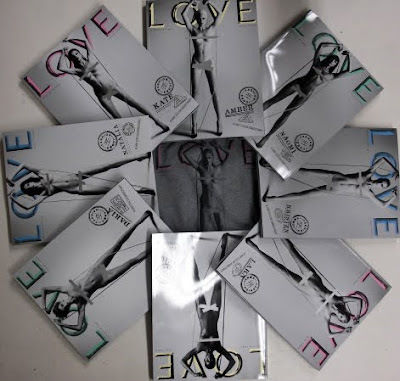 This is Love Magazine's third issue, offering 8 different covers. The covers feature Kate Moss, Naomi Campbell, Krsiten Stewart, Amber Valletta, Natalia Vodianova, Daria Werbowy, Jeneil Williams and Lara Stone. The girls were shot by photography duo Mert & Marcus. Little tidbit: Also, from the 14th onwards limited edition LOVE T-shirts will be available in Colette and Dover Street (booo... London). From what I understand the t-shirt will be centered around these covers. I want one. Please send.